We supply a variety of funfair rides, games and side stalls for public and private events in the South of England. 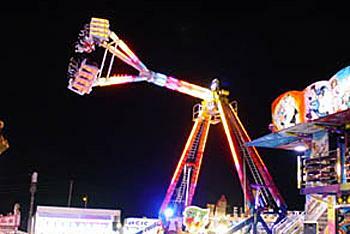 Our rides vary from traditional carousels, to waltzers, dodgems and modern innovative rides such as the Kamikaze. If you are looking to entertain visitors to your events, friends at your party or guests at your corporate event then we can help. We can provide one or more rides, games or stalls for your event complete with experienced, trained personnel to set up and run the equipment. For more information, a quote or to make a booking please contact us.